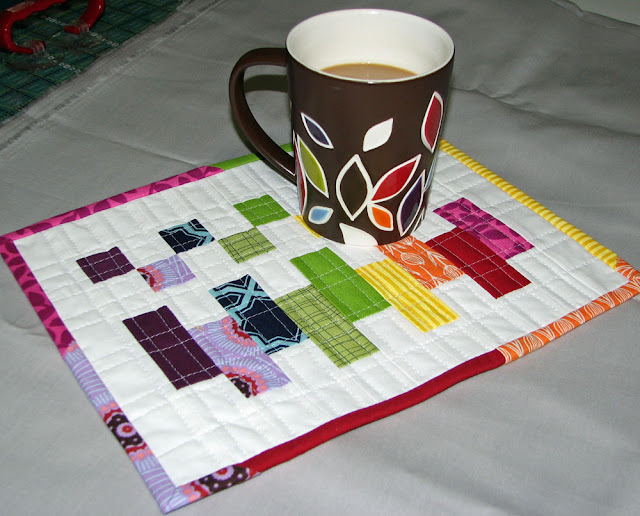 Sew Fantastic’s Scrappy Color Block mug rug tutorial is a colorful study in geometric designs. Ryan Walsh from I’m Just A Guy Who Quilts put together a clever and colorful Dresden Wedges Mug Rug Tutorial using Moda fabrics, check it out! And Jennifer from That Girl…That Quilt… made a Mug Rug of Scraps tutorial with a cute little pocket posted at Sew WE Quilt. I recently stitched up my own mug rug, you can visit me right here to see it! Do you have a favorite mug rug project or tutorial that we didn’t mention? Let us know by leaving a comment! LOVELY . A great way to upgrade my morning coffee. I must make myself a mug rug . Thank’s! Very cute and colorful! 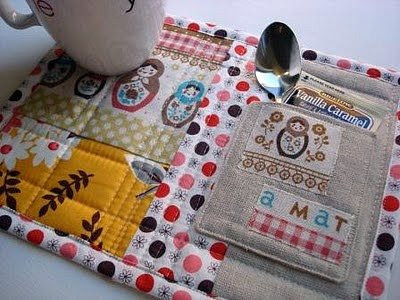 what a great way to use the scraps you just can’t seem to part with ! Its look very nice. Small rugs for cup and jugs.